Shopping for a Mazda CX-5? For drivers in the Orlando and Kissimmee areas, we’ve got great news for you. Sport Mazda Orlando is close, convenient, and provides drivers with a large inventory of Certified Pre-Owned Vehicles. We know you’ve already decided on a Certified Pre-Owned model. If you’re a person who is always prepared and likes to have extra security when it comes to your purchases, you can rest easy and relax knowing that your Certified Pre-Owned vehicle from Sport Mazda Orlando comes with a slew of benefits and perks. One of the popular automobiles in our Certified Pre-Owned selection is the Mazda CX-5. If you have a growing family or you’re the life of the party with friends always by your side, you’re going to need a vehicle that not only provides a tremendous amount of space, but that offers plenty of technology, safety, and comfort features as well. To get more acquainted with the Mazda CX-5 and the standard features offered, let’s take a closer look at a Mazda CX model. Sport – This base trim comes with cloth upholstery, 17-inch wheels, Bluetooth®, a four-speaker sound system, two USB ports, and LED headlights. Touring – The Touring offers dual-zone automatic climate control, keyless ignition and entry, two additional speakers, rear cross-traffic alert, heated front seats with lumbar adjustment, two extra USB ports, leather upholstery, and blind-spot monitoring. Grand Select – Drivers who select the Grand Select (see what we did there?) will receive automatic wipers, auto-dimming mirrors, 19-inch wheels, a power liftgate, satellite radio, leather upholstery, an eight-way power-adjustable driver seat, a moonroof, and a premium Bose audio system. Grand Touring – This top trim provides all of the previously mentioned features from the other trims as well as a variety of safety features such as automatic high beams, adaptive cruise control, lane keeping assist, and forward collision warning and mitigation. As you can see, the Mazda CX-5 has plenty to offer drivers. With various luxury, comfort, and technology features spread across four trim levels, it’s no wonder why so many people are choosing the CX-5. This crossover SUV is gaining more and more popularity. 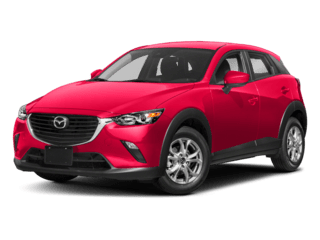 If you’re interested in the CX-5 and all it has to offer, consider a Certified Pre-Owned Mazda CX-5. Not only does purchasing a Certified Pre-Owned vehicle give you numerous benefits, drivers can rest assured that their vehicle has undergone a thorough 160-point inspection. Before they can be labelled as Certified Pre-Owned, each vehicle is diligently examined to be certain that it meets the highest standards possible. For those worried about purchasing a used vehicle, don’t be. Nothing can compare to the peace of mind that comes when purchasing a Certified Pre-Owned automobile. Once behind the wheel of your Mazda, you’ll be confident and ready to enjoy your journey. 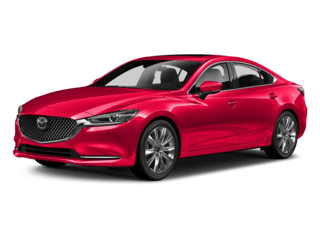 Why Buy from Sport Mazda Orlando? Stop by Sport Mazda Orlando today to see our inventory of Certified Pre-Owned vehicles. Once here, you’ll be greeted by our friendly team members. In fact, we’ll show you around our dealership, fill you in on our specials, and let you take a test drive. Don’t forget to stop by our service center when you visit. Our trained technicians have an extensive history of repairing and servicing a wide range of vehicles. Whether you’re in need of a repair or routine maintenance, we’ll have you back on the road in no time. Schedule a service today. We are conveniently located at 9786 S Orange Blossom Trail, Orlando, FL 32837. Come see our Certified Pre-Owned Mazda CX-5 models. We look forward to putting you behind the wheel of your dream vehicle. Lock-in our best price today by giving us a call, (407) 392-9336.